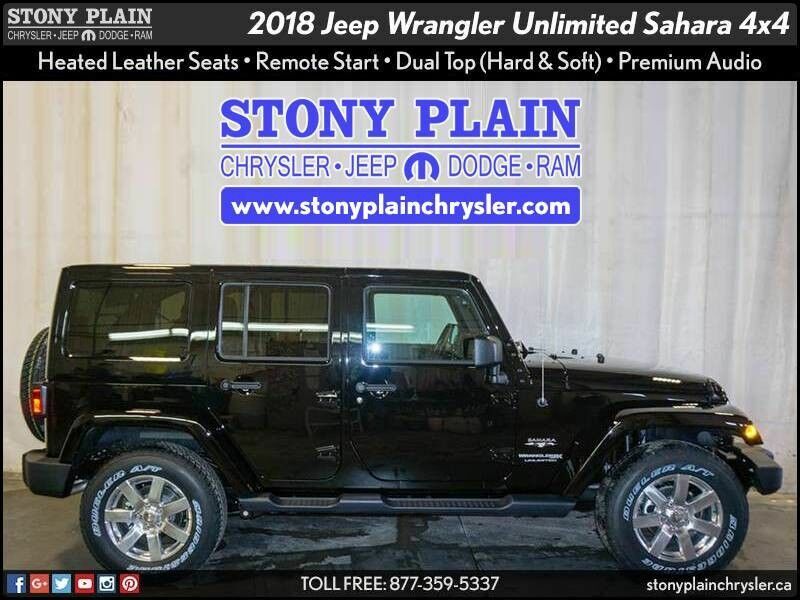 Contact Stony Plain Chrysler today for information on dozens of vehicles like this 2018 Jeep Wrangler JK Unlimited Rubicon 4x4 SUV. Want more room? Want more style? This Jeep Wrangler JK Unlimited is the vehicle for you. You deserve a vehicle designed for higher expectations. 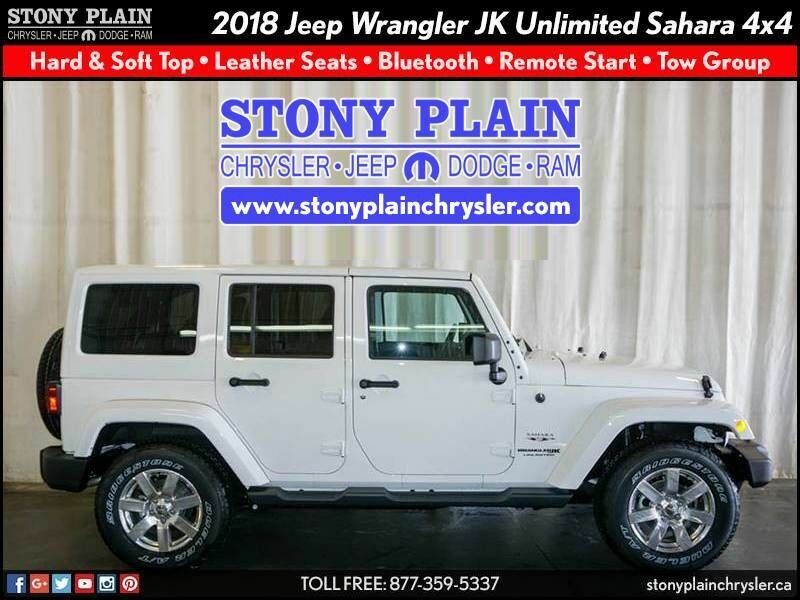 This Jeep Wrangler JK Unlimited delivers with a luxurious, well-appointed interior and world-class engineering. Where do you need to go today? Just punch it into the Jeep Wrangler JK Unlimited on-board navigation system and hit the road.